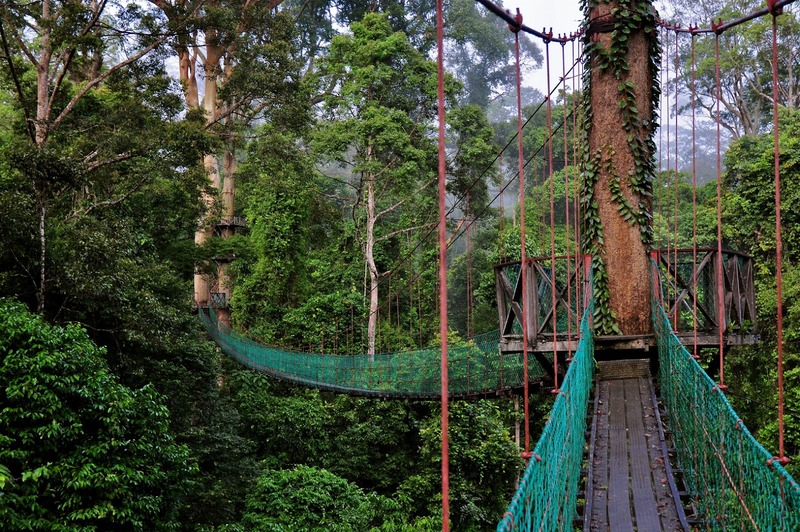 The Danum Valley Conservation Area (DVCA) covers 43,800 hectares and comprises almost entirely lowland dipterocarp forest. DVCA represents the largest expanse of pristine forest of this type remaining in Sabah. Lying on the eastern flank of DVCA is the 30,000 hectare Innoprise-FACE Foundation Rainforest Rehabilitation Project (INFAPRO) which is one of the largest forest rehabilitation projects in SE Asia. To the west of DVCA are the Maliau Basin and Imbak Canyon Conservation Areas. All of these areas are imbedded within the commercial forest reserves of the Yayasan Sabah Forest Management Area (YSFMA). The forest to the east and north of DVCA, which is at various stages of recovery after disturbance by selective logging, is easily accessible from the Field Centre; background information on its management history is held in the Danum library.